We’ve all faced the harsh reality of a muffin top once our early 20s have left us. If you’re unaware, a muffin top is the excess fat that hangs over the waist of your pants. It can be a hard one to get rid of, but where there’s a will, there’s a way. There are a few exercises below that will help you shave that flab down and – with a little commitment and discipline – you’ll say goodbye to your muffin top for good. 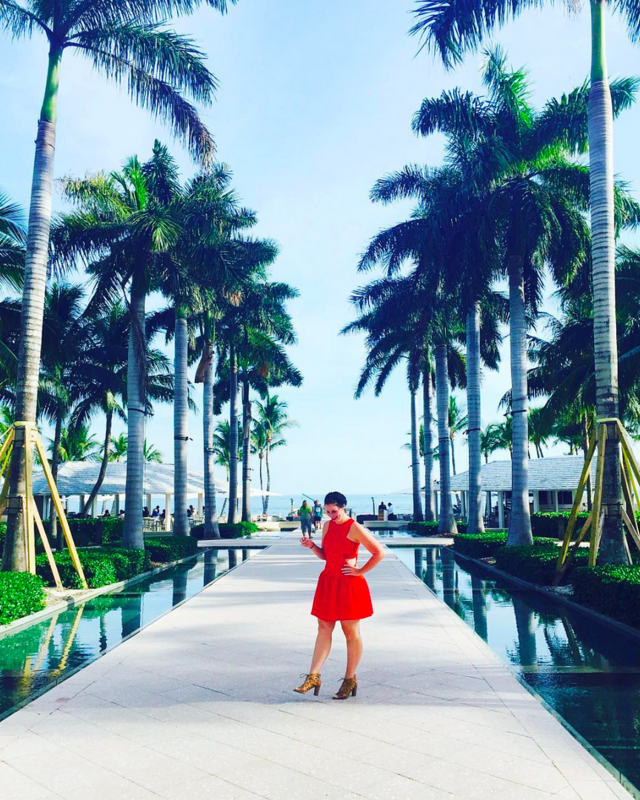 In addition to general exercise, it’s always helpful to use a specialised health professional or even a health retreat like Chi of Life to help guide you in the right direction. You have probably seen this fad in the last few years where people ‘planked’ in dangerous environments, like on top of buildings. This is actually an amazing exercise for weight loss, with a slight variation. By strengthening the muscles involved in this position, you’re developing your core and slimming that waistline. To achieve this position, get into that of a push up. Bend your elbows, resting your weight on your forearms. You want your body to form a straight line. Now contract your ab muscles and hold this position for 30 seconds. Over time you can eventually work up to holding it for a few minutes. This one is not only great for your stomach and obliques, but it’s great for any back pain that’s posture related too. You want to lie on your back with your feet a few inches off the ground and your hands by your sides. Make sure there is no arch in your back. Keep your legs straight and make sure both feet remain off the ground and kick with one leg at a time. Do this for 10-15 repetitions. Don’t dismiss walking for weight loss. And, furthermore, don’t think you need to spend hours on the treadmill each day. You can train your body to use fat as fuel. You may have heard this term before as ‘fat-burning.’ Start by walking at a standard pace as a warm-up. Slowly start to increase your pace every 30-40 seconds until you’re just about ready to break into a jog. Ease off the pace slightly and continue for 20 minutes. Try doing this three times a week. This seems like a simple enough exercise… and it is! The way to achieve this one is to stand with your feet apart and arms at your sides. Using one arm, reach down towards your toes and lift the other arm towards your waist with your hand on your hip. Alternate sides and repeat this 100 times. This is a great one for those love handles too. 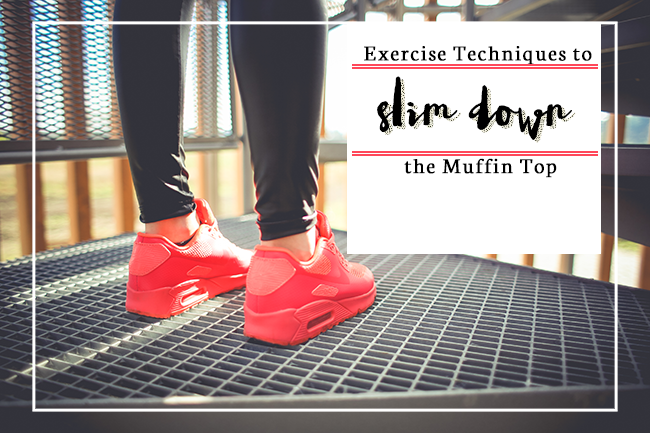 So now you have some guidance, it’s time to put these exercises into action and start getting rid of that muffin top! Have you found any particular exercise to be great for weight loss around the stomach area? Share your tips in the comments. I need to do all of these, about ten million times before my cruise.